Like everyone else, we have spent the last week making the most of the sunshine as it surely won’t last much longer. 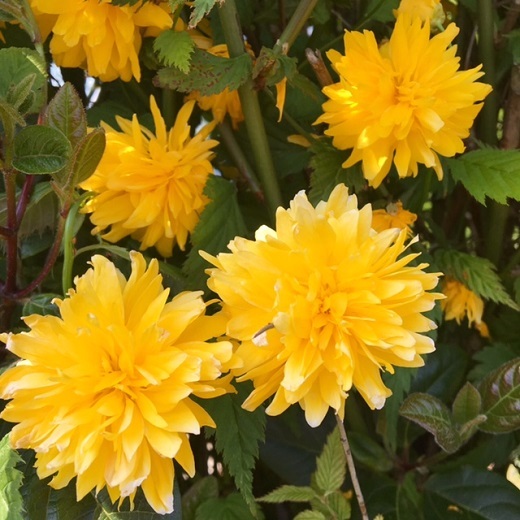 My sister has spent plenty of time in the garden and strolling around Harrogate, where she spotted these pretty pompom flowers (the official name, I’m sure!). 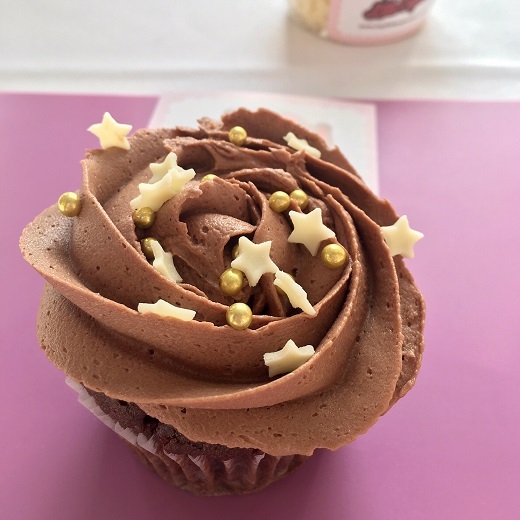 I was invited to a ladies’ networking event last Wednesday evening (thanks to the lovely JMW Solicitors), where I was plied with prosecco, given free cocktails by experts from the Alchemist and treated to a cupcake decorating masterclass from the team at Hey Little Cupcake!. I learned how to create a pretty frosted rose, using a special nozzle on the piping bag, and the cake tasted just as delicious as it looks. Check out this video of my newfound skill in action on our Twitter page. Cookery class was all sweetness and light this week, as the main theme of the lesson was desserts. We made an orange rice pudding with a brulee topping, as well as crème brulee and a traditional roux and bechamel sauce which we then used as a base for a Welsh rarebit. This will definitely become one of my staple skills, as the roux can be made into all sorts of other sauces. The chef also taught us his technique for poaching an egg, which differs to my usual approach as he added vinegar to the water. 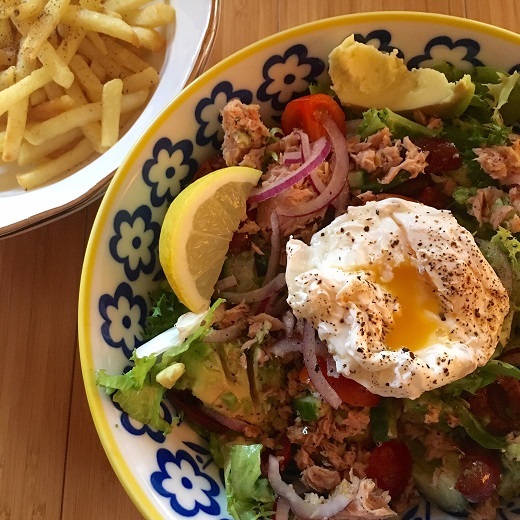 I tried it out at home and it worked very well indeed, and was the ideal way to top off my summer supper of tuna salad with a side of fries. On Friday night I headed to one of my favourite places in Chorlton, Palate, which has a delicious seasonal food menu and extensive wine list. The atmosphere is always buzzing and was no different on this bustling Friday evening. 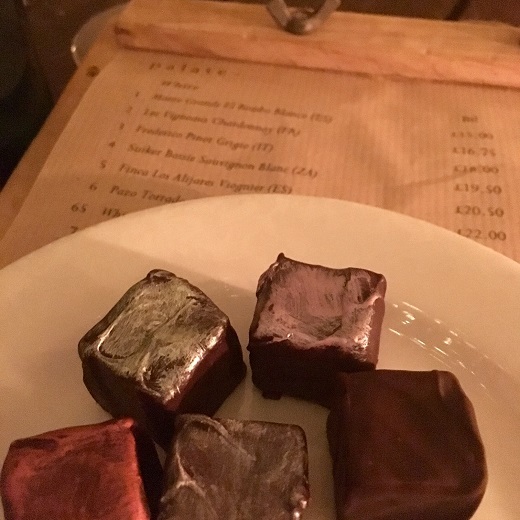 After dinner of steamed plaice with spring greens, we ordered a portion of their tasty chocolate truffles to share and another glass of red wine before continuing the night barhopping on Beech Road. Saturday was glorious and definitely one to spend outdoors, so I drove out to the suburbs and spent a few sunny hours in the beer garden of the Greyhound in Ashley, Cheshire. 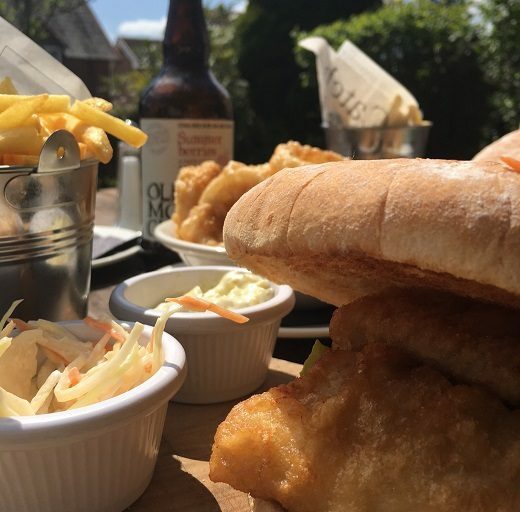 In need of a hearty lunch, I ordered a chunky fish goujon sandwich with fries. 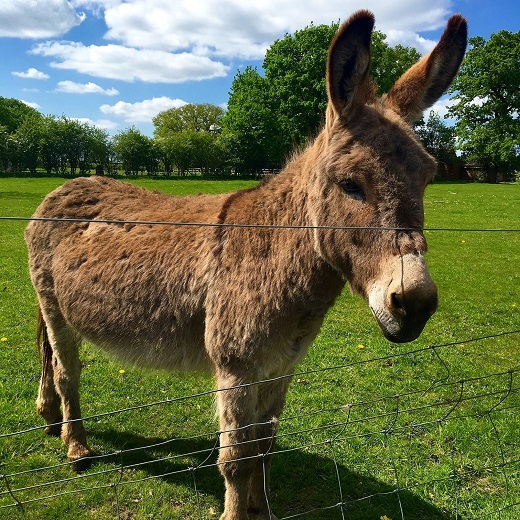 After that gigantic sandwich and chips a walk was in order, so we explored some footpaths and fields, bumping into this friendly fellow en route.